Veronique Renaud is a french wildlife painter and photographer. Arctic wolves are usually smaller than gray wolves, and also have smaller ears, slightly shorter muzzles, and shorter legs to reduce exposure to the frigid air. 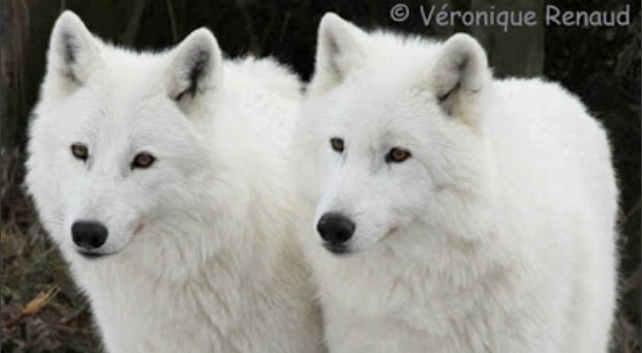 They live alone or in packs of about 6 wolves and are usually all white with a very thick, insulating coat. The young arctic wolves soon leave their pack to seek their own territories. They tend to get rid of other wolves, unless they are able to mate. Once a lone arctic wolf discovers an abandoned territory, he will mark the territory with its aroma, then he attempts to congregate other wolves to form a pack. 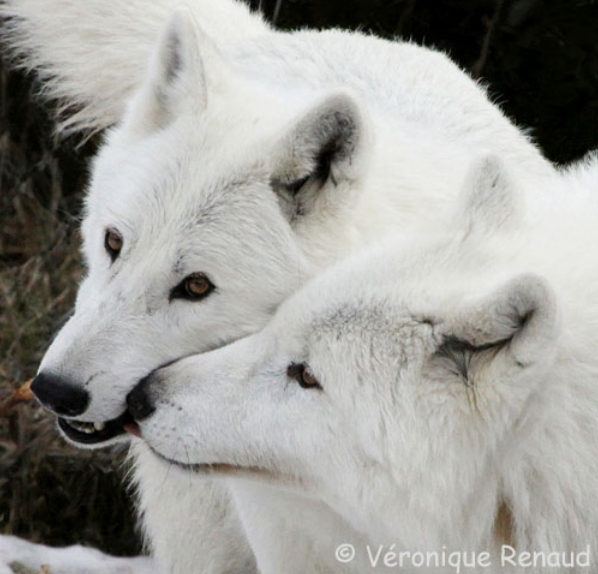 Responses to "Stunning Photos Reveal The Incredible Beauty of White Wolves "
Thank you for these outstanding photos! How beautiful! Yes, wolves do smile! absolutely,breathtakingly beautiful pictures..all wolves are precious but there is something about white or black ones that are particularly striking!! I loved the video it was awsome. I hope you have more. I defently agree with Alpha female. I Love WOLVES! They're very beautiful cool and entiligiant animals!! :* (hug) I want to be a Wolf!!! Beautiful! I don't understand how people can look into the eyes of a wolf and not see the depth of its soul or see them together and still not know they have and express emotions. I love to look into my all knowing husky's eyes. I can only imagine what looking into a wolves eyes would be like....totally awesome. How comforting and healing it would be.